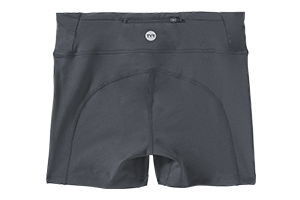 Designed for a dynamic lifestyle, the TYR Women's Kalani Short - Solid caters to adventurists both in and out of the water. From the paddleboard to the yoga mat, the BDSSO7A is inspired by women who aren't afraid to sweat it out. 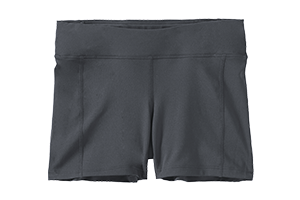 Featuring a 4" inseam, 4" zipper for small storage at the back waistband and UPF 50+ protection, the Kalani Short is an ideal choice for active girls on the go. The TYR Women's Kalani Short - Solid is 100% chlorine proof, 100% colorfast, provides 300+ hours of performance and is created using our most advanced fabric - Durafast Elite. My shorts bottoms arrived 2 days ago. So far I love them. They fit as they should and everything about them is exactly what I was looking for. I just ordered a 2nd pair. Great length for running/biking. Great quality. I swim laps in these and love them. The waist band is high and fitted enough that it does not catch on push offs. They fit well and are as flattering as can be expected in swimwear. I just love having a more modest option and not having to worry about razor burn. They might have been just a tad bigger than I was expecting given that I usually wear a size 36 Tyr one piece, but still within expectation. The legs don't ride up much on me and the wast band does not fold over. I'm 5'7" and about 150 pounds. I ordered a large. Perfect shorts. Exactly what I was looking for.